ALEXANDRIA, Va., , Jun. 18 /CSRwire/ - Global Impact, a leader in growing global philanthropy, today launched a new suite of regionally focused High Impact Funds to complement its already successful portfolio of 12 thematic funds. High Impact Funds provide donors a simple way to donate to critical humanitarian issues or regions and maximize their social impact. 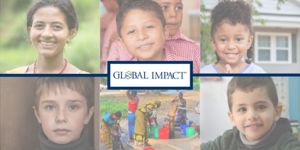 Global Impact’s thematic funds have raised nearly $500,000 for causes such as clean water, human trafficking and disaster relief—all with the aim of helping the world’s most vulnerable people. For its six new funds, Global Impact selected 22 nonprofits doing exceptional work in Africa, Asia‑Pacific, Europe, Latin America and the Caribbean, the Middle East, and North America from its alliance of more than 100 international charities. Charities range from global nongovernmental organizations to nonprofits working on a regional level, delivering critical services and supplies to those in need. The Global Impact Africa Fund, providing critical support and humanitarian assistance to those living in this region. It brings together Africare, Amref Health Africa, World Bicycle Relief and Partners in Health. The Global Impact Asia-Pacific Fund, offering support for economic and social growth for the people of this region. It brings together American Himalayan Foundation, ChildFund International, Helen Keller International and MAP International. The Global Impact Europe Fund, focusing on stabilizing and supporting vulnerable people in this region. It brings together FINCA International, SOS Children’s Villages – USA and HIAS. The Global Impact Latin America and the Caribbean Fund, working to relieve chronic poverty by providing solutions to eradicate economic instability. It brings together Pan American Development Foundation, Project HOPE, Rise Against Hunger and SEE International. The Global Impact Middle East Fund, meeting the development and humanitarian needs of those in this region. It brings together American Near East Refugee Aid (ANERA), Humanity & Inclusion and Refugees International. The Global Impact North America Fund, helping to increase food security and support economic development in this region. It brings together Direct Relief, Habitat for Humanity, International Relief Teams and Save the Children. The full suite of High Impact Funds can be accessed on Global Impact’s website, as well as workplace giving platforms such as Benevity and YourCause.